We are excited to welcome Christopher, Tyler, and Owen to the LDC Team! 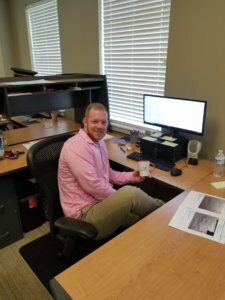 Tyler (Ty for short) joins us having just completed his bachelor’s degree in Land Surveying Technology from Glenville State College. Tyler is the youngest of three siblings and a former collegiate golfer. He also filled the roles of Kicker and Punter for the Glenville State Pioneers football team. Tyler will be the newest member of our Survey Department; filling the role of Survey Technician. 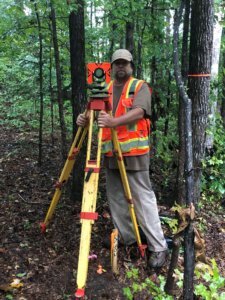 Tyler will create and assist with completing ALTA Surveys, Boundary Surveys, Topographic Surveys, and Plats. Christopher, or CJ, holds a bachelor’s degree in Civil Engineering from Old Dominion University. Christopher also obtained his Engineer in Training certification for the Commonwealth of Virginia in February of 2018. He was previously a long-tenured supervisor for a prominent siding company and returned to school in his early forties to change his career-path. Christopher enjoys fishing and attending sporting events. He has joined our Survey Department working as an Instrument Operator and will assist with conducting Boundary Surveys, Topographic Surveys, As-builts, Physical Improvement Surveys, and numerous types of Stakeouts. Owen joins LDC as the newest member of our Engineering Department, where he will fill the role of Senior Project Manager; overseeing numerous types of land development projects throughout multiple jurisdictions. 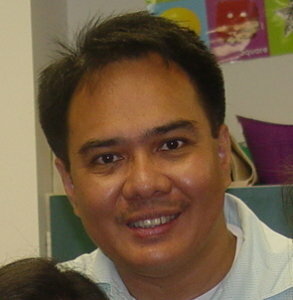 Owen has obtained two Bachelor of Science Degrees (Geology and Civil Engineering) from the University of the Philippines, Diliman, and possesses nearly 20 years of continuous experience practicing land development with a sub-specialty in hydraulics / hydrology and Storm Water Management. Owen has worked on residential, commercial, institutional and recreational facilities throughout Northern Virginia and is a two-time Land Conservation Awardee in Fairfax County (2015, 2017). Owen is a Designated Plans Examiner in Fairfax and Loudoun counties, and possesses the Professional Engineer Certification (P.E.) in Virginia, West Virginia, Georgia, Indiana, Washington D.C., and the Philippines. In his spare time, he is an enthusiastic fan of Team Scuderia-Ferrari in Formula One racing.